…and, of course, Women Who Run with the Wolves. 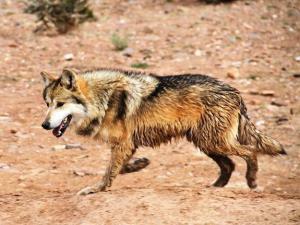 Mostly, I’m pleased that Wolf Medicine is making its way into places of extinction. Their strength and resilience bring hope that we can find healing in other areas, too. Thanks, Cnawan! (NaturalNews) In the prescient 1948 tome, author George Orwell wrote about a supposedly “fictitious” future in which the civilized world lived in what can only be called a surveillance society, in which “the government” would be able to keep watch on the citizenry 24-7, and through a variety of technological means. It turns out that Orwell’s premonitions were a lot more realistic than even he likely imagined. On Tuesday, Sergey Lavrov met with his French, German and Ukrainian counterparts in Paris. It’s part of Moscow’s all-out effort for ceasefire and peace in Donbass. Lavrov and Putin have done more to resolve things diplomatically than any other world officials. No two men are more worthy of Nobel Peace Prize recognition no matter how things turn out. No two are less likely to receive the honor they deserve from a Committee notoriously favoring war criminals. 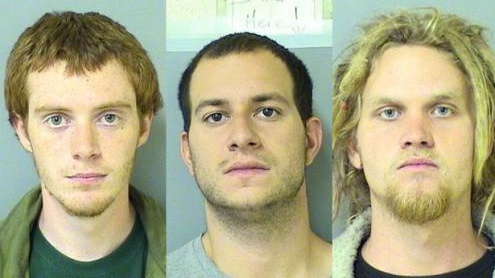 Brian Jacob Church, Jared Chase and Brent Vincent Betterly, known as the ‘Nato Three’. Photograph: AP/Cook County sheriff’s office.